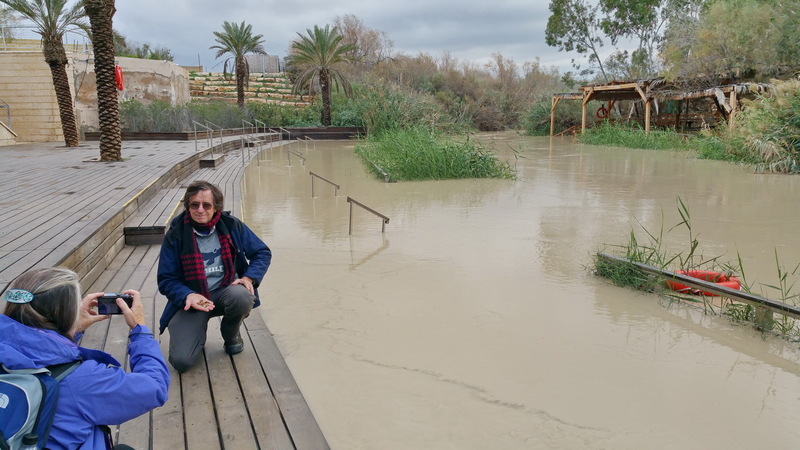 The person who expects the famous Jordan (Hebrew: Yarden) River to look like one of the large rivers around the world, will probably be disappointed. It is, in fact, a narrow and shallow stream, only 251 km (156 mi) long, supplying about 500 million metric tons of water per year. 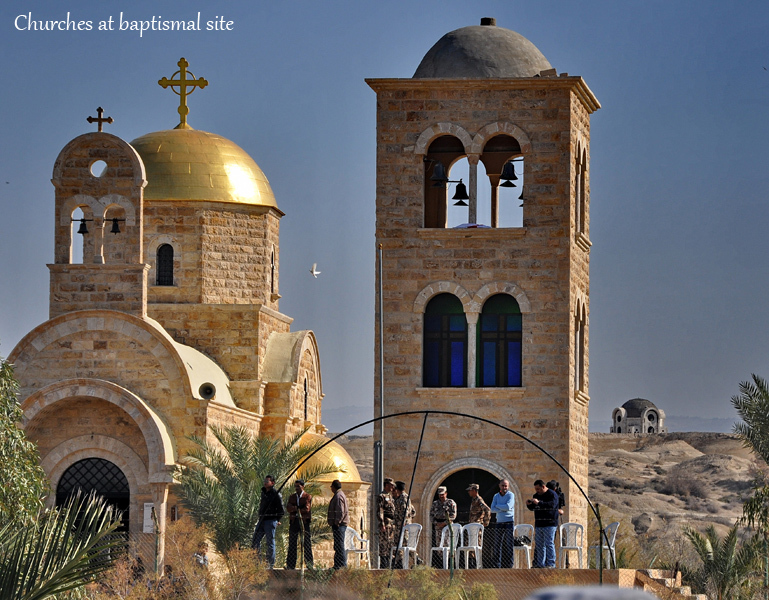 Its importance for the tourist is based on its historical and religious context. 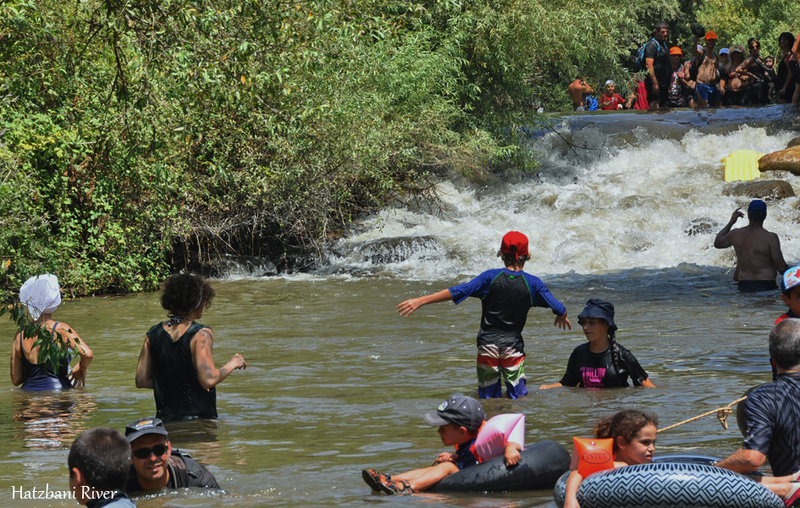 For the State of Israel, it serves as a major source of fresh water. 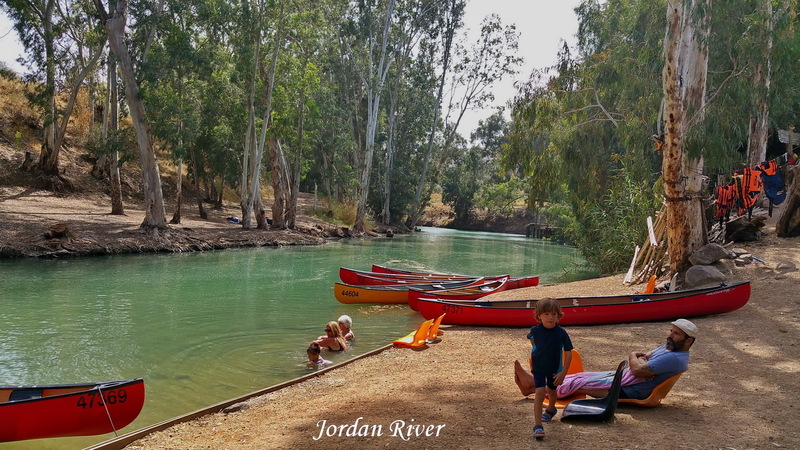 The Jordan River gets its water from three main tributaries: The Dan River, the Hermon (Banias) River and the Snir (Hatzbani) River. 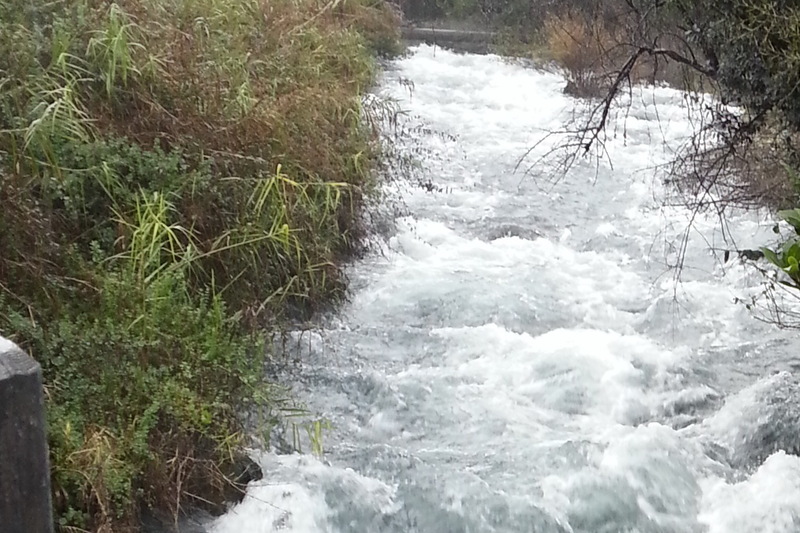 All three rivers are fed from rainwater and snow that falls on Mt. Hermon, and reappears at the foot of the mountain as large springs. 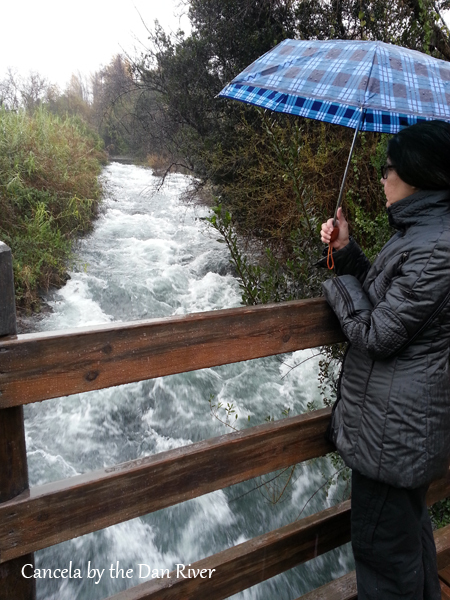 The upper Jordan River runs through the Hula Valley, and joins the Sea of Galilee (Lake Kinneret) at its north end. The river splits off from the Sea of Galilee at its southern end, meanders through the Lower Jordan Valley, and flows all the way down to the Dead Sea. Almost all of the water of the Jordan River is consumed by Israel and Jordan; the amount that flows into the Dead Sea is very small, a fact that has a serious impact on the Dead Sea. 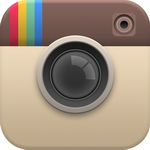 Gideon the Judge pursued his enemies, the Midianites, across the river. The prophets Elijah and Elisha crossed the river to the east side, where Elijah departed to heaven carried on a chariot of fire. Elisha cured Naaman, the commander of the Aramaic army, of leprosy by dipping him seven times in the river. 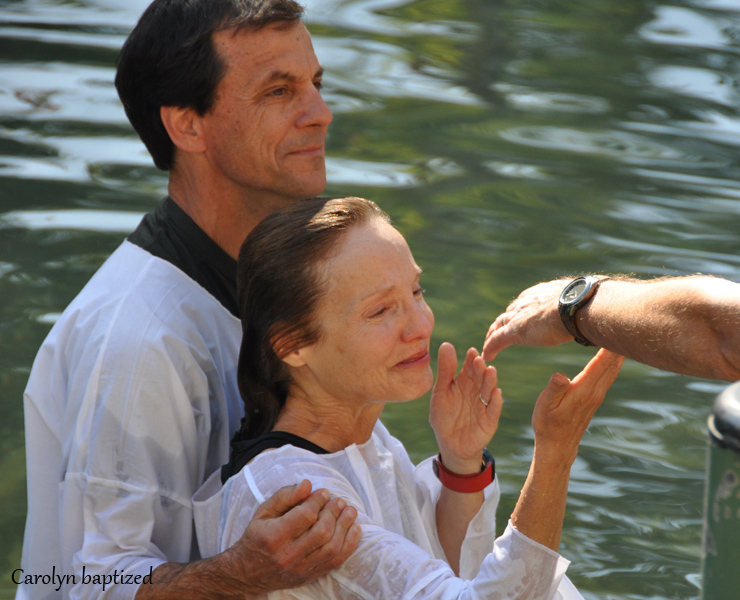 John the Baptist called upon the people to repent and be baptized in the river for spiritual purification. 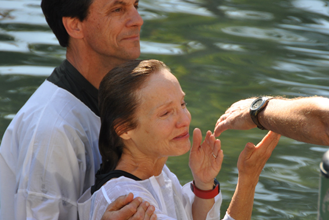 One of them was Jesus, who immediately received the Holy Spirit upon his baptism. Jesus moved between the east side and the west side of the river to heal many people. 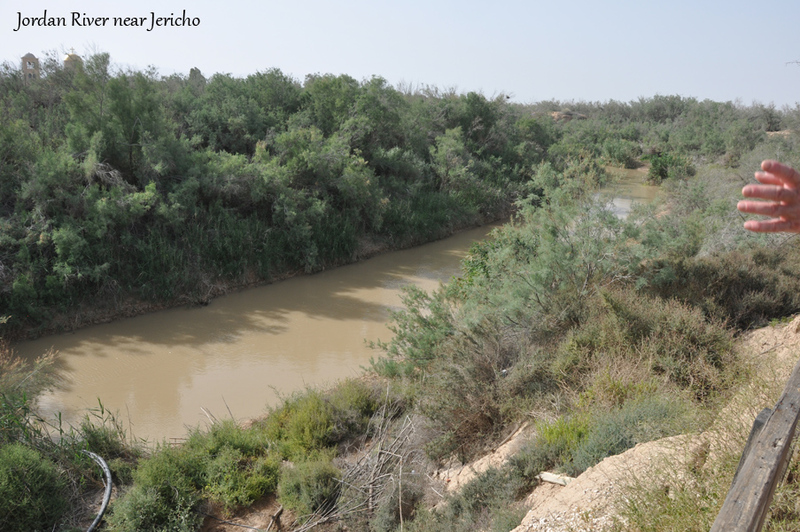 What can we see and do along the Jordan River? 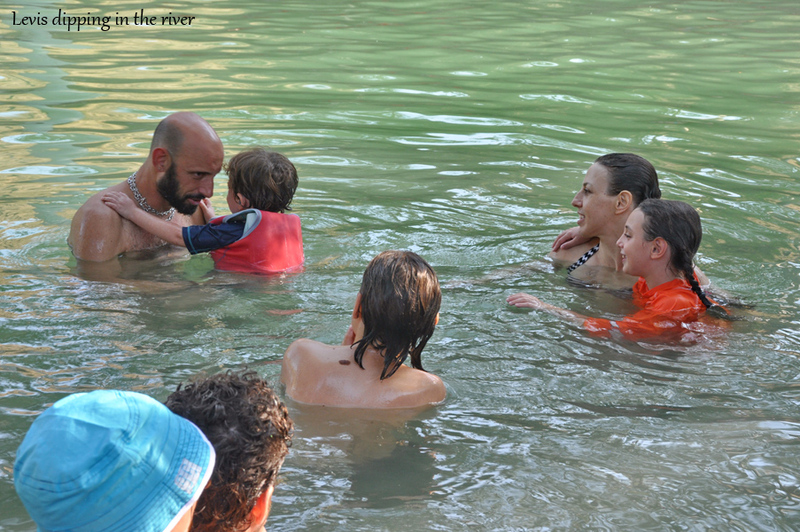 Hike along its tributaries, dip in the water or enjoy an easy rafting trip. 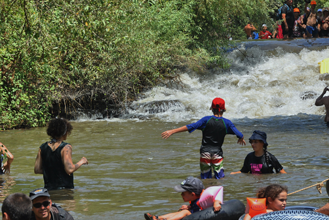 Take part in kayak or canoeing at various places along the river. 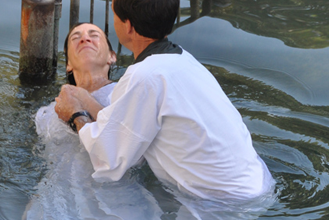 As a believer, you can take baptism in the most beautiful place designed for it – Yardenit. 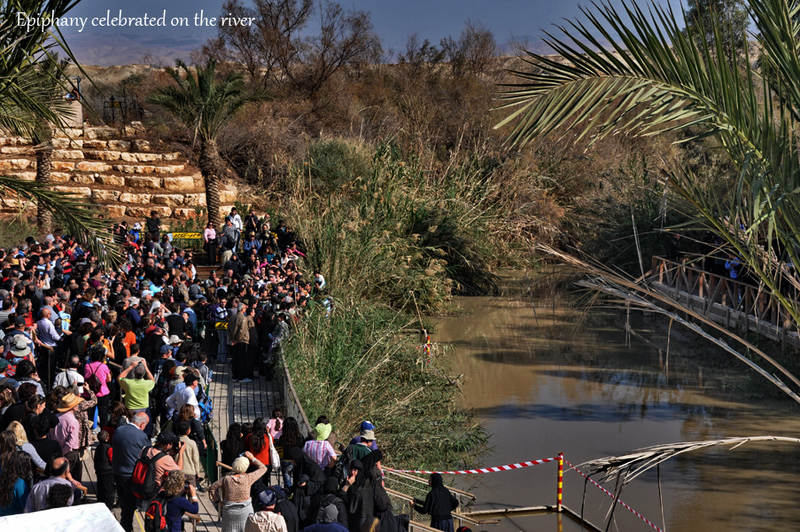 You can also visit the traditional site of baptism at the lower Jordan River, opposite Jericho.